Animal Wildlife | Iberian Lynx | The Iberian lynx also known as Spanish lynx is a critically endangered species native to the Iberian Peninsula in Southern Europe.It is one of the most endangered cat species in the world.The species used to be classified as a subspecies of the Eurasian Lynx,but is now considered a separate species.Both species occurred together in central Europe in the Pleistocene epoch,being separated by habitat choice.Iberian lynx resembles other species of lynx,with a short tail,tufted ears and a ruff of fur beneath the chin.Iberian lynx has leopard-like spots with a coat that is often light grey or various shades of light brownish-yellow.The coat is also noticeably shorter than in other lynxes,which are typically adapted to colder environments. 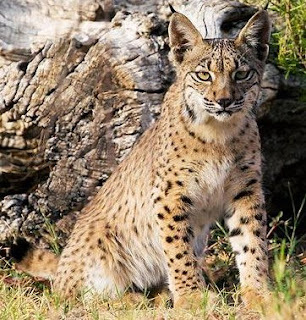 In spite of its strong resemblance to the Eurasian's Lynx, the Iberian Lynx has a smaller body and the facial features of a house cat. 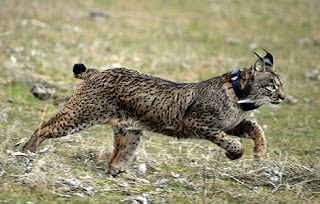 Iberian lynx typically hunts smaller animals, usually no larger than hares. 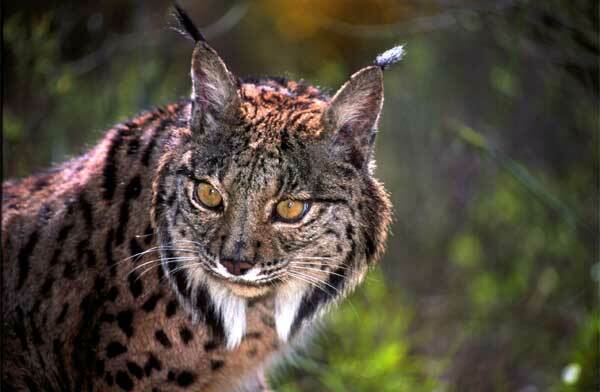 It also differs in habitat choice, with Iberian lynx inhabiting open scrub and Eurasian lynx inhabiting forests. The Iberian Lynx must really like rabbit because it accounts for an amazing 80% of their diet. They also eat young deer and duck. 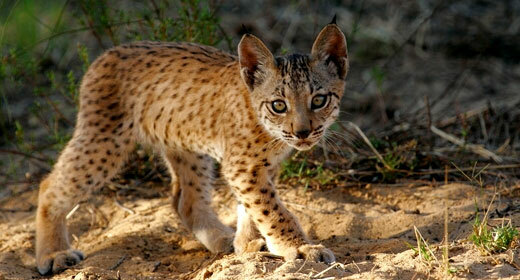 At one time, rabbits disappeared due to an epidemic outbreak and the number of Iberian Lynx plummeted. This is because rabbits are its main food. Today, development continues to destroy forest environments and could trigger another decline in rabbits. If that happens, it will cause irreparable damage to the already scarce population of Iberian Lynx. There are only a few forests in Spain and Portugal where the remaining Iberian Lynx live, making them one of the most critically endangered species of the Felidae family. Forest development is one of the main reasons they have become so rare. 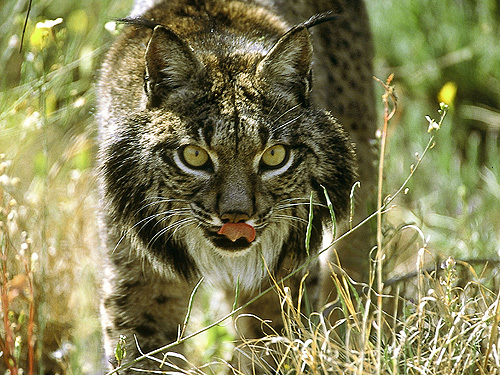 Their habitat has diminished and they live sporadically due to roads and towns being built in the forest. Further damage comes from poachers who continue to violate bans on their hunting. 0 Response to "Iberian Lynx"